Low numbers for a Z06? What to expect? took my 2001 to the Dyno yesterday and made 350whp and 349 tq. I know that the 01 comes with 385hp and the numbers will be lower than the 02-04 c5z's. My car currently has lt headers and Corsa exhaust. 100k miles. To be honest the engine sounds and feels healthy, I was expecting 370-375hp yesterday. It hasn't been tuned properly but my tuner said it wasn't that bad, that he can get another 10-15hp from that setup. My goal is 400+whp, so I ordered a BTR stage 3 cam kit, I'm planning to Port the 243 heads, I'll be in the stock ls6 clutch with tick master cylinder for a couple of months and then upgraded to the monster stage 2 clutch. Do you think my car is getting low numbers for being a Z06? Is this a good combo to hit my goal? Your car made 385 crank horsepower stock and you expected 370-375 wheel horsepower, with just headers? Yeah, 350 whp is right on the money for what you shoulda expected from a relatively generous dyno. I have been doing some research and most of the people with these mods are on 370s +, that's why I was thinking that maybe my numbers were low. But to me 20+HP from just headers and exhaust sounds good. I know you loose 15%hp from crank to wheels, but the numbers everyone else are putting down seems higher compared to mine. I read that with the mods I'm planning to do, can give me around 40-60hp depending on the tuner, but I just wanted to have some feedback from people that already have done this mods and if you think that my combo is a good choice. They think they have that much cause their sheet says it. Thats the problem...your car is right on track, enjoy. Please remember that dynos all have correction factors, and different types put out different numbers. 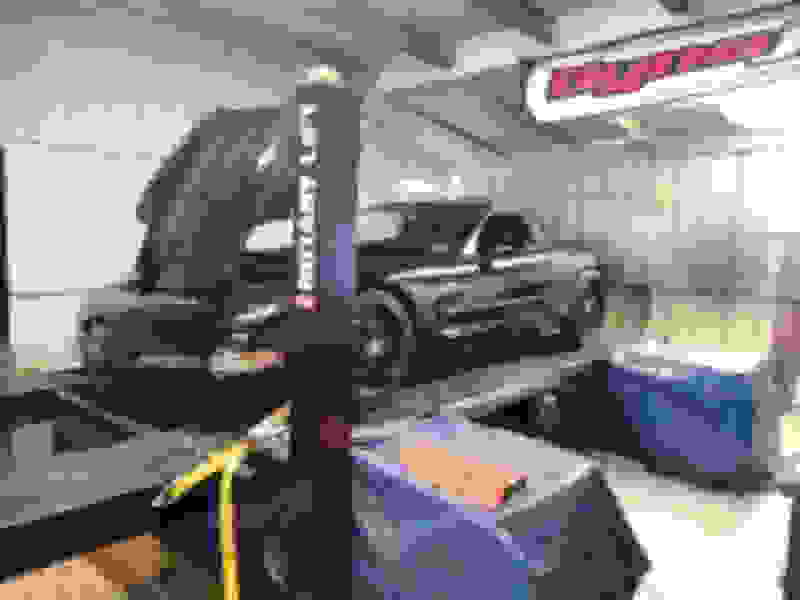 A conservative mustang dyno will read much, much lower than a dynojet run by people who like to make the customer smile big. Same car, you can see 50whp difference sometimes in the sheet. The real purpose of a dyno is to assist your tuning and modifications. You go once to get a baseline, make some changes, get a new torque curve and see how your changes play. A lot of people just go to a dyno to get satisfaction with big numbers, so a lot of dyno shop operators will have correction factors that give big numbers. Doesn't mean diddly squat. The only thing that matters at the end of the day is your performance on the strip, the road course, the autocross -- the dyno tells you whether you're going in the right direction for your goals, as far as torque and power output go. Remember too, it's the full curve that's important; you may have a choice to get 10 more peak horsepower but to do so you'd have to shift your torque curve right by 1500rpm - that's probably a bad trade. Don't go chasing peak figures. Don't go chasing figures in general. You never mentioned your actual goals, btw. Road course? Just want more power, I drive my car as much as I can, so I want something that can be dd friendly with enough power to visit the drag strip 4-5 times a year. I enjoy the nice sound of a big cam, after doing some research I decided to go with the BTR 3, many people said it was street friendly. My car should be ready to tune in 3-4 weeks with this set up. I'm expecting from 40-60whp from this camshaft and ported heads. Some people recommended to leave the 243 heads just like that, but it took me 6 months to get used to the 350whp, so I think I should Port my heads while I'm doing this. Just get a good safe tune on the Dyno, new plugs and wires,and a new clean air intake filter first before you do anything more. At least you will have a new starting point. What's your budget? I would get aftermarket heads and a medium cam. It would rip. Plus you could recoup some money selling your 243's. My Budget for the heads is $1000, I was thinking to sent my 243s to Texas speed, do the stage 1. I have the BTR springs that comes with the BTR 3 cam kit. But I have been thinking about getting a fast intake instead, save some money and get a set of better heads in a future. But again, I think the fast will outflow my stock 243 heads. So I haven't decided yet. Last edited by Wuquinta; 03-17-2019 at 01:42 PM. Good idea. I would get an intake then and some killer heads later down the line. Years ago I watched a guy do two dyno pulls at about 375whp, and started to think my 377whp pull would make me the winner.... then he put his hood up to get cooler air to the intake, and got 398whp. Lesson learned.